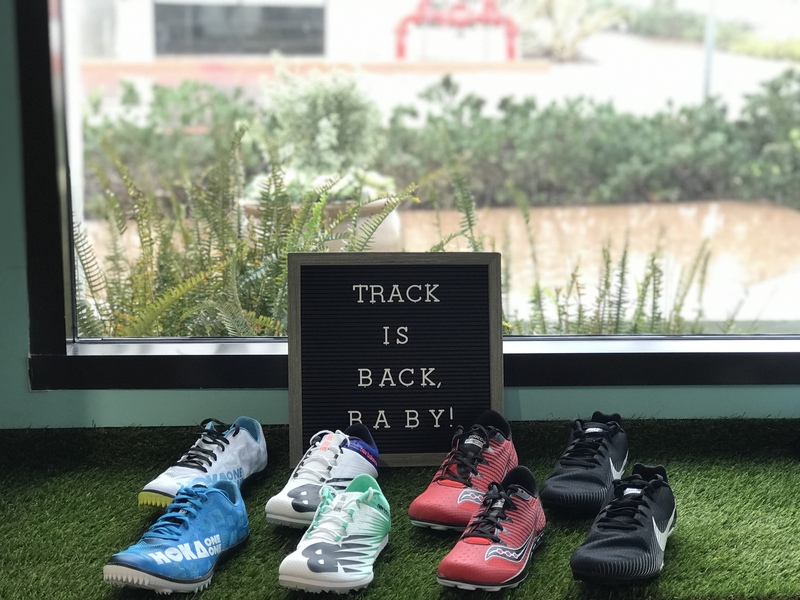 Fleet Feet San Diego is proud to provide a comprehensive selection of Track & Field competition shoes and spikes for the 2019 season. 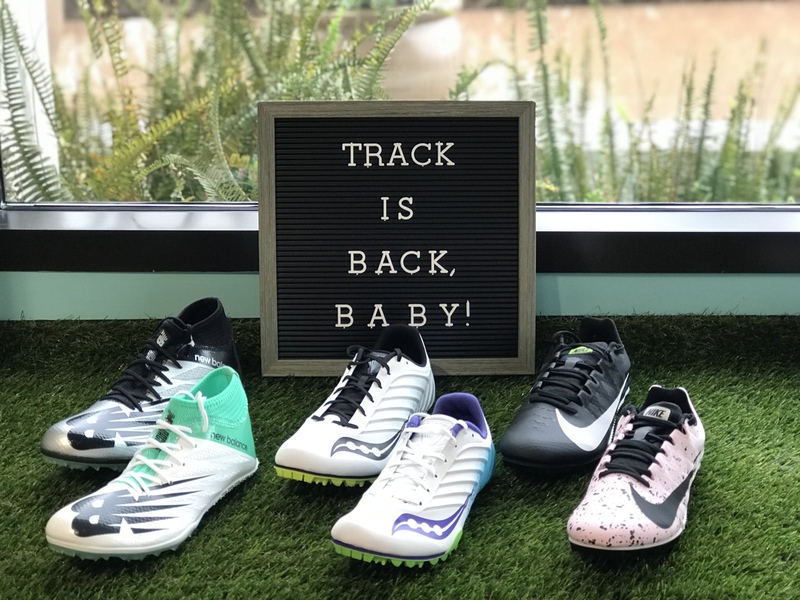 We're ready to help you gear up for the 2019 season with top shoes covering all events. Read through for more information on the brands and styles that Fleet Feet San Diego offers. Student-athletes also earn a 10% discount on all gear-up purchases, plus check with your coach to see if your school's team has scheduled a team night with us! Perfect for the 100m, 200m, and 400m, sprints spikes offer powerful spike plates with aggressive tilt. 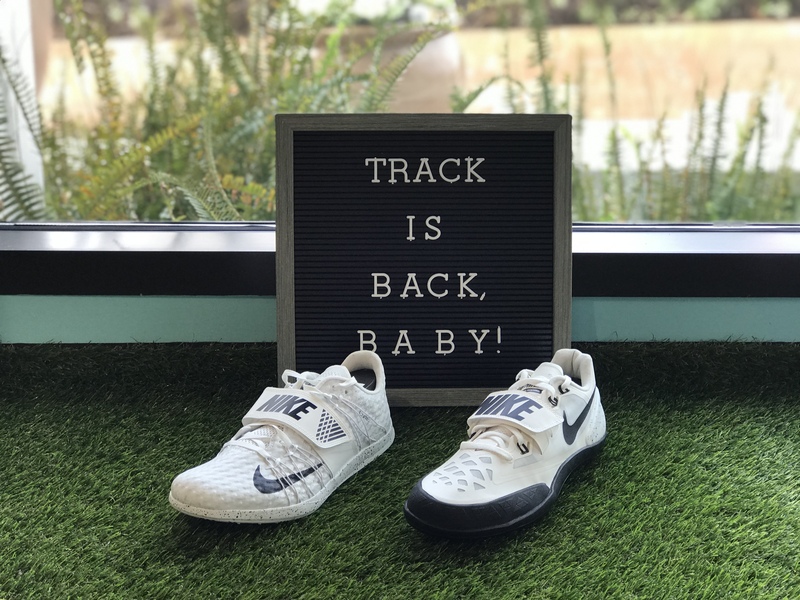 Designed to get you out of the blocks, up on your toes for explosive strides, and through the line as quickly as possible, these offerings boast power and speediness with each step. Mid-Distance and Multi-Event spikes are perfect for the athlete who does a little bit of everything, is new to the sport and finding their best events, or runs sprints in addition to some 800m or 1600m (middle distance) races. These spikes offer spike plates with a medium level of sturdiness, but are complimented with more forgiving midsole cushioning than their sprint-specific counterparts. This allows them to propel the athlete quickly while allowing for a more gentle landing. You might find sprinters, hurdlers, jumpers, or distance runners using these spikes due to their versatility. For the athlete putting in the miles and racing long, distance spikes feature a less aggressive spike plate and pitch, while providing more cushioning under the heel than other event shoes. Because the force over a longer distance is less than faster events, these shoes boast ultra-lightweight constructions and upper materials. At this level, it's all about taking weight away to make the work load less over the course of a long race. In order to jump farther and higher, jump spikes work like spring boards that are built for a sprinting build-up before take-off. These spikes offer super stiff bases with a medium pitch, which allows the jumper to power through and off for the best results. In general, you'll find jumpers doing the long-jump and triple-jump using the same types of spikes, while high jumpers use specific spikes with even more traction and platform due to their lead-up before take-off. Throwers use super sturdy shoes for competition that also have pieces built in to make it easier to pivot and push for maximum force. 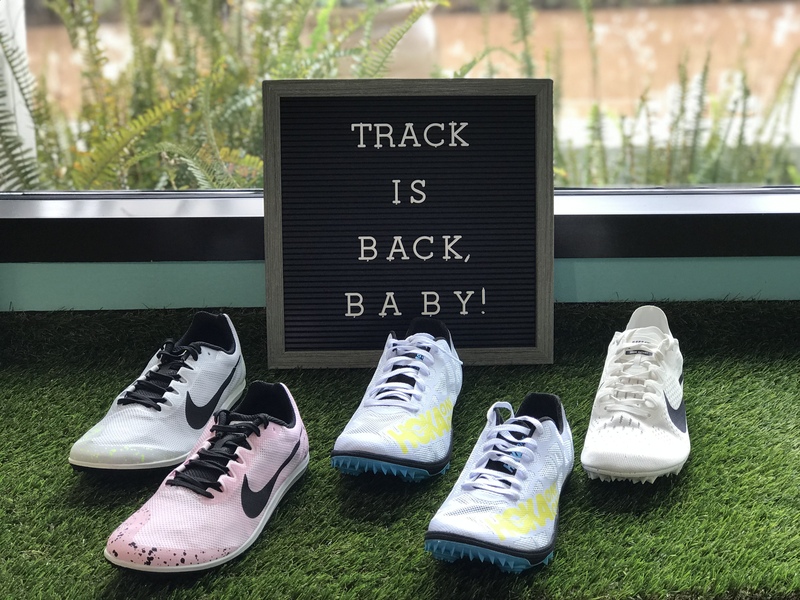 Stop by to get geared up, and our expert staff will help guide you into the perfect shoes to help you run your first race, find your top event, set a new PR at an invitational, or qualify for post-season competition! To learn more about our Fit Process, click here.